Since festival season is upon us once again, I thought it might be fun to do a quick roundup of my can’t survive festival season without beauty must-haves. Quick and easy, these products will keep you looking great through the party weekend yet will not require much effort on your part! Deep conditioner – a deep conditioner is a must in a desert heat. 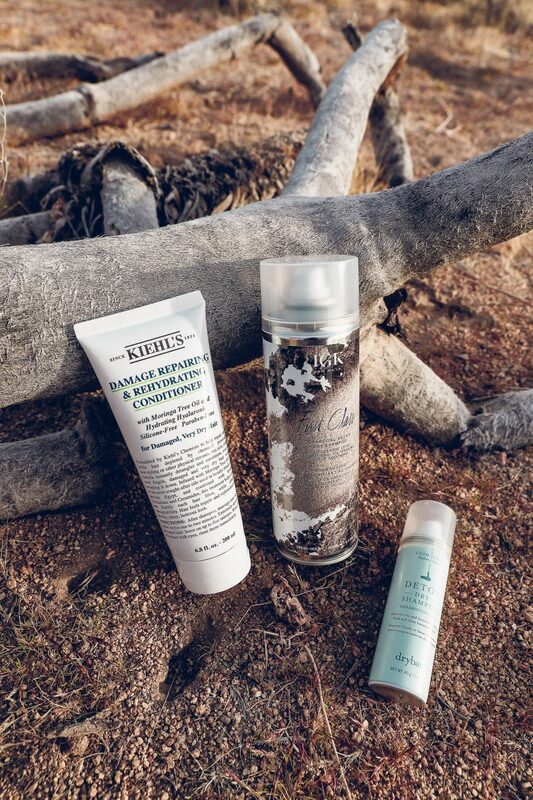 I love how rich and moisturizing the Kiehl’s Damage Repairing & Rehydrating Conditioner is. I try to keep it in my hair as long as I can to replenish the moisture and bring shine back to my hair. 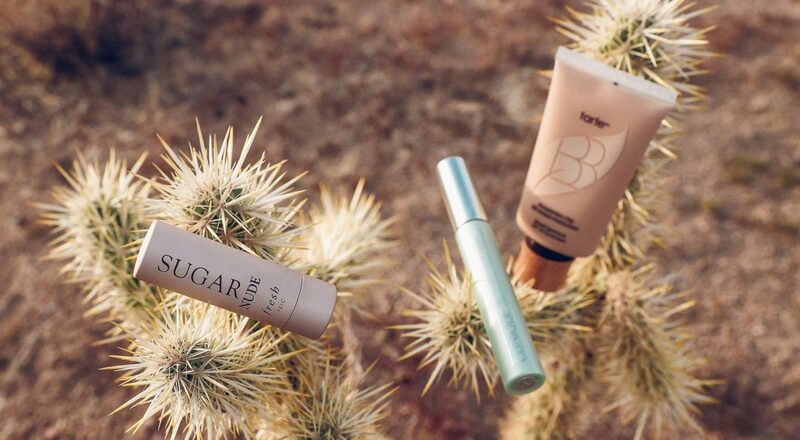 Dry Shampoo – I think it’s a must to bring one with you anywhere, especially to the desert. With the heat, sweating is inevitable and your hair is going to need a “pick me up” much sooner rather than later. I also like to spray a bit of it throughout my hair to give it a little volume. IGK and DryBar are my favorites. SPF lip balm – I think this one speaks for itself; lips are so sensitive so moisture and SPF constantly need to be re-applied. 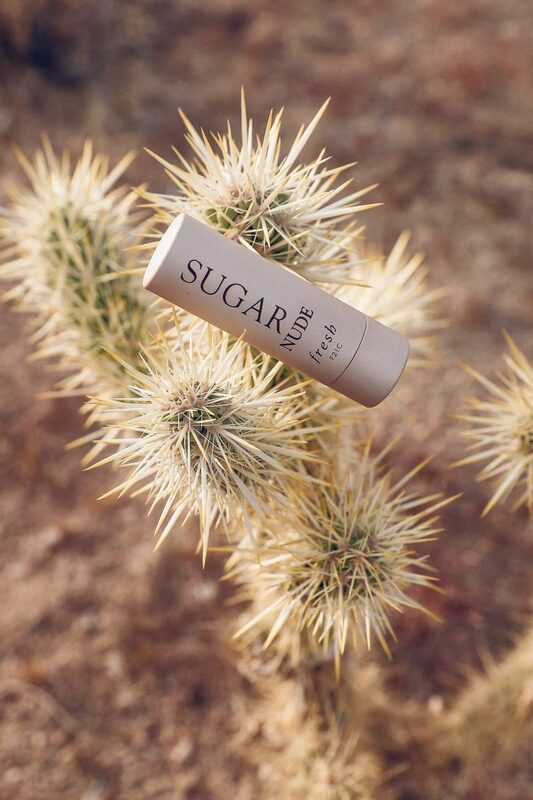 I absolutely love this Sugar Lip Treatment by Fresh – it does the job and comes in a few different tints if you also wanted to add a little bit of color. Waterproof mascara – I don’t know about you guys, but my mascara always runs on a hot day and I end up with black flecks on my undereye area. The easiest solution to that is wearing a waterproof mascara. I like High Impact Waterproof Mascara by Clinique—it lengthens my lashes and is very easy to take off with makeup remover at the end of the day. 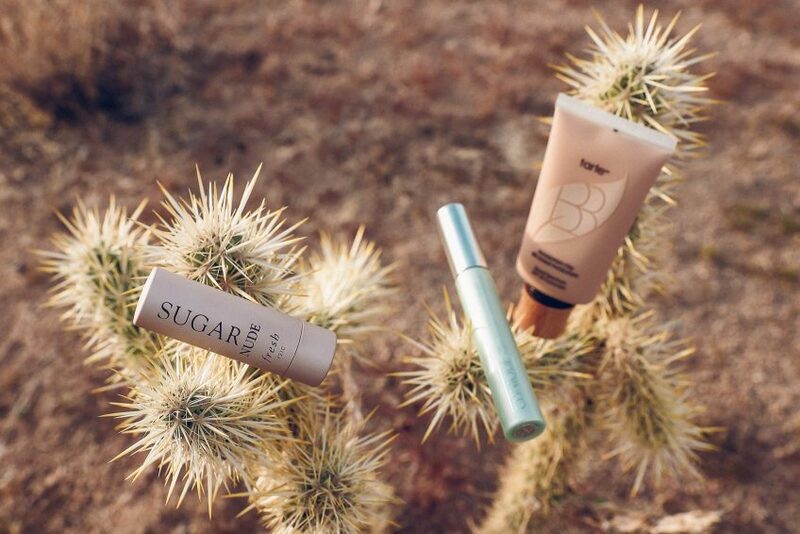 BB cream – I am not a huge fan of foundations on regular basis let alone on a desert getaway. It gets too cakey and looks awful within the first hour of being out so I always opt for something lighter and more natural like this Tarte BB cream. It gives just enough coverage while still looking fresh. 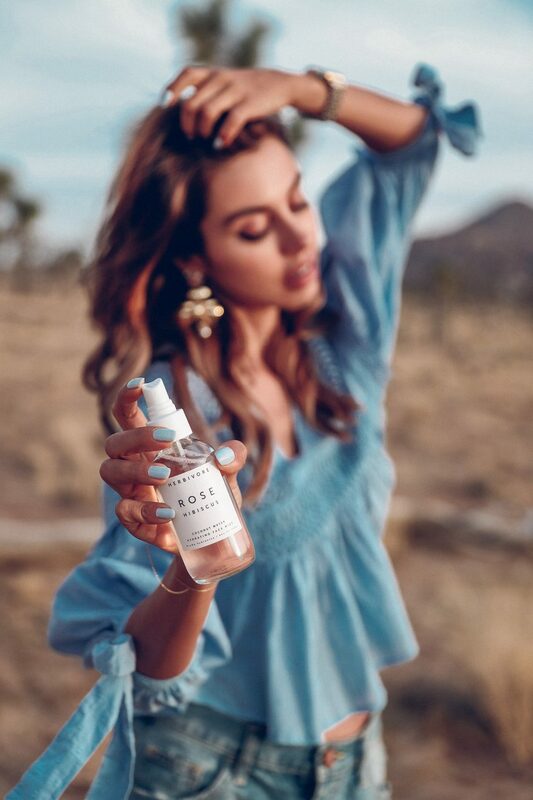 Face mist – can’t say enough about how much I like a good face mist on a hot and dry desert day. It’s a perfect boost of hydration while not packing on too much product on top over and over. I like to keep one in my bag and just spritz throughout the day. I recently tried the Rose Hibiscus Coconut Water by Herbivore, and I’m definitely taking it with me to the festival, it’s so refreshing! Eye cream – undereye area, much like your lips, is super sensitive so it definitely needs extra love and attention especially if you’re in a dry climate. I always make sure to pack a super hydrating undereye cream when heading to the festival weekend and apply a generous amount before going to bed. I find that it really helps with my make up creasing less the following day. 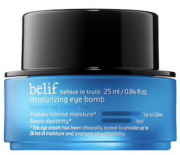 My go-to cream is the Moisturizing Eye Bomb by Belif. 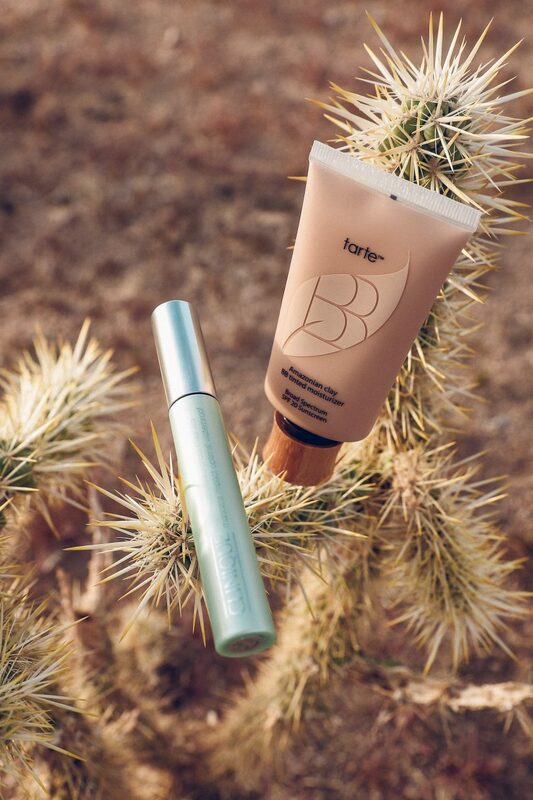 Body Shimmer – you guys know I love a good body glow and specifically for the desert, I like something oil based for extra moisture. 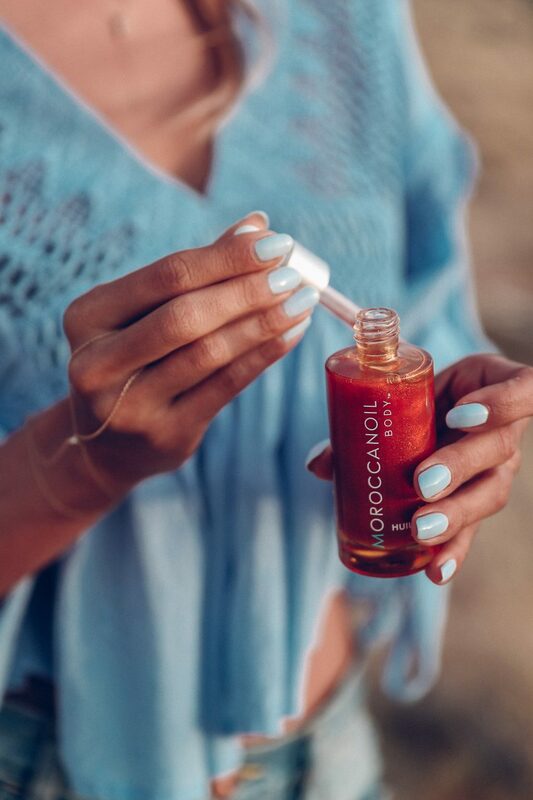 This MoroccanOil Shimmering Body Oil gives a subtle sparkle and tons of moisture. It’s very lightweight and not greasy which is my favorite part about it. Body moisturizer – a rich body moisturizer to apply at night after a day out in the heat is an absolute must for me. 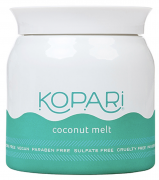 I love the Coconut Melt by Kopari—it’s natural, extremely moisturizing, and alcohol free so it’s truly non drying. Plus this product is a multitasker and can be used as a hair mask, lip balm, and even makeup remover. I love your wonderful blouse! Fabulous product placement! I love these incredible photos, you are a queen of influencers, everything you do is so inspiring and always with a top notch outcome! I can’t get over those shoes!!! So many amazing recommendations! Definitely need to try the eye cream and the face mist! And I love the outfit, especially the shoes! All these products sound amazing and I need some new stuff to try for the heat. I’m going to try some of the things you recommended. Loving all these products ! 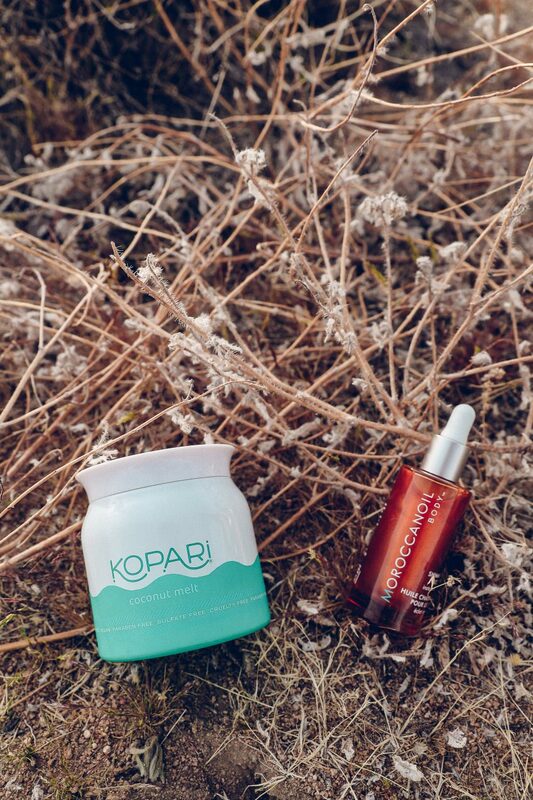 Fresh is an amazing brand, so are Moroccanoil and Kiehls… Such great pics! I love Herbivore products! Great posts! 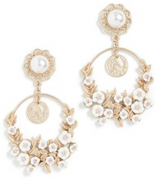 Love this look soooo much!!! Too Cute!! These are indeed must haves and solid essentials. Your outfit suits the place where you haven taken your photos. You look so beautiful. the blue top is divine! All these desert pictures are stunning! Also, I love how you laid the products out on the ground 🙂 I adore that Herbivore Rose Hibiscus Water and I am definitely going to check out the Moroccan Oil products! Perfect outfit babe ! And i also love all of the products you mentionned ! I think i will want to try everything out ! Perfect ! I like your boot. Game Au Mobile là tựa game âm nhạc trên điện thoại di động hot nhất hiện nay, với những cái tên hết sức độc đáo cũng thể hiện một phong cách, cá tính của bạn trước đối thủ khác. Hôm nay Kí Tự Đặc Biệt sẽ chia sẻ cho các bạn những Ký tự đặc biệt trong Au Mobile thường được sử dụng nhiều nhất. Bạn hãy dùng để tạo một nickname thật ấn tượng trong nhân vật của mình nhé! Chỉ cần nhìn vào cái tên nhân vật mà bạn đã tạo Kí tự đặc biệt trong Au thì khi người khác nhìn vào, sẽ thấy ngay được vị thế của bạn đến thế nào, thật tuyệt vời phải không nào! Dưới đây là bảng kí tự đặc biệt Au Mobile đẹp và độc đáo nhất hiện nay.